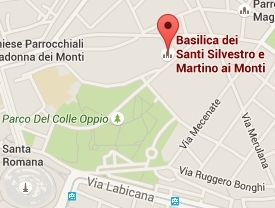 Take the stairs leading down into the noble earth of Rome. 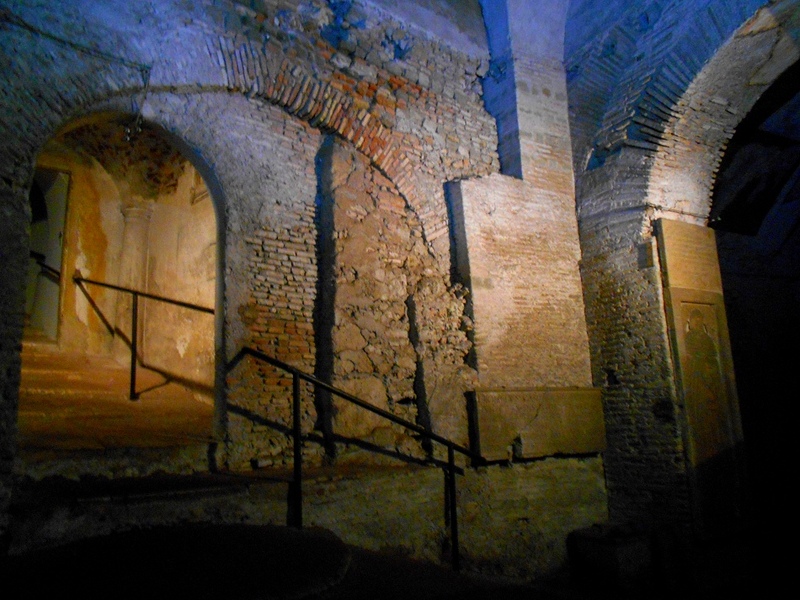 a third-century vaulted building hidden in darkness under the modern city. 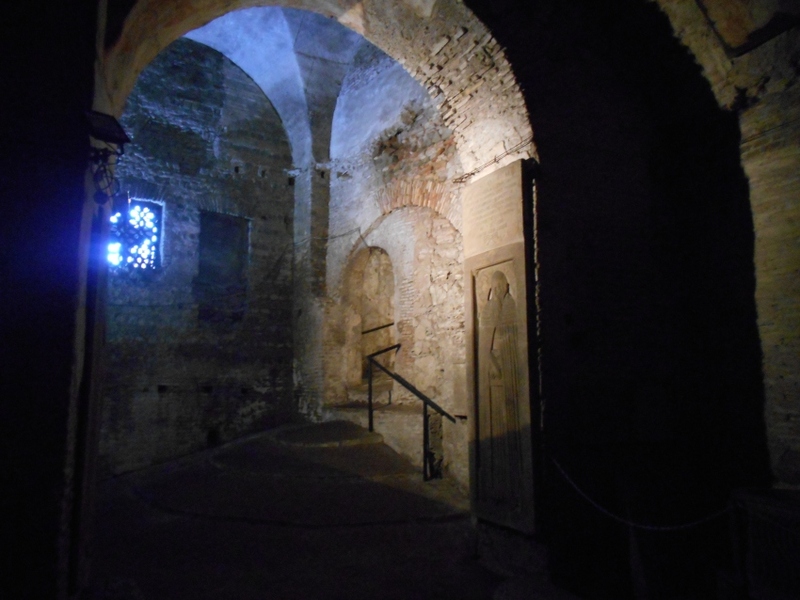 When descending the steps which start from the upper level where the crypt is located, the visitor is already prepared to leave our contemporary life. Everything must be left behind. And the spell is on us again. 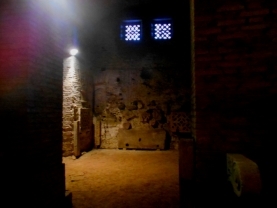 A maze of large subterranean rooms is awaiting us: the original third-century Titulus Equitii, where the devotees of a faith that was still young praised God and his Son. The sturdy walls, possibly belonging to the adjacent Baths of Emperor Trajan, enfold our body and heart, as the sunlight creeping in from small windows above plays with the artificial gleam cast by the electric bulbs, leaving large patches of gloom. Emperor Constantin the Great's shadow still lingers in these underground chambers, where a Council with Pope Silvester I and bishops from all the ancient Christian world was held, around 330 A.D. Past is always linked to our present days, the more in a space like the fascinating subterranean vaults of St. Martin. 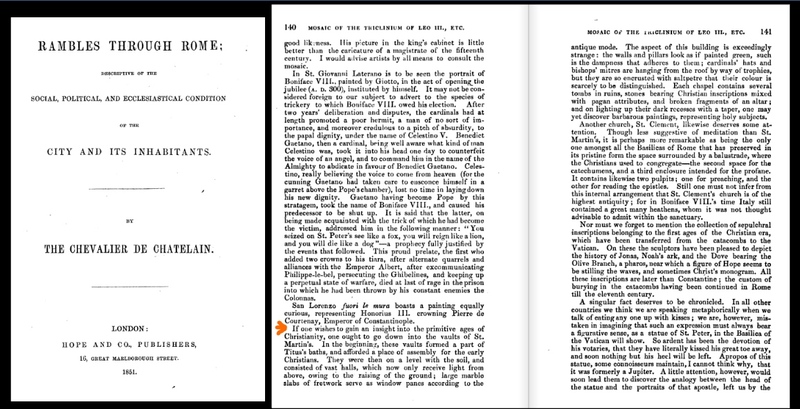 If one wishes to gain an insight into the primitive ages of Christianity, one ought to go down into the vaults of St. Martin's. In the beginning, these vaults formed a part of Titus's baths, and afforder a place of assembly for the early Christians. The consisted of vast halls, which now only receive light from above, owing to the raising of the ground. 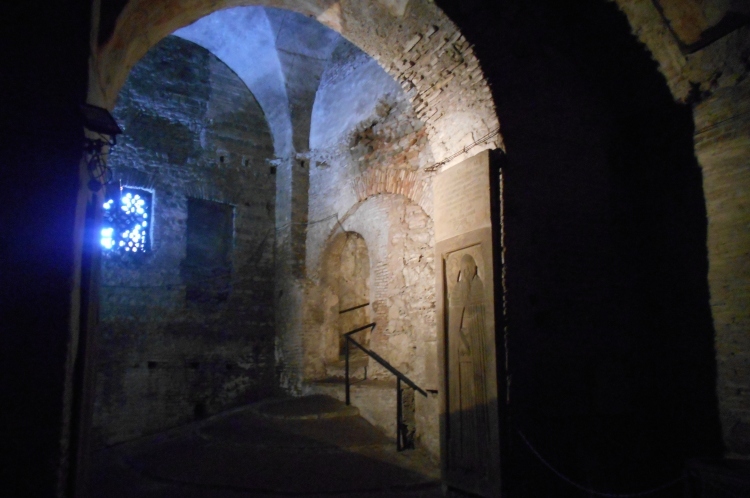 Each chapel contains several tombs in ruins, stones bearing Christian inscriptions mixed with pagan attributes, and broken fragments of an altar; and on lighting up their dark recesses with a taper, one may yet discover barbarous paintings, representing holy subjects.